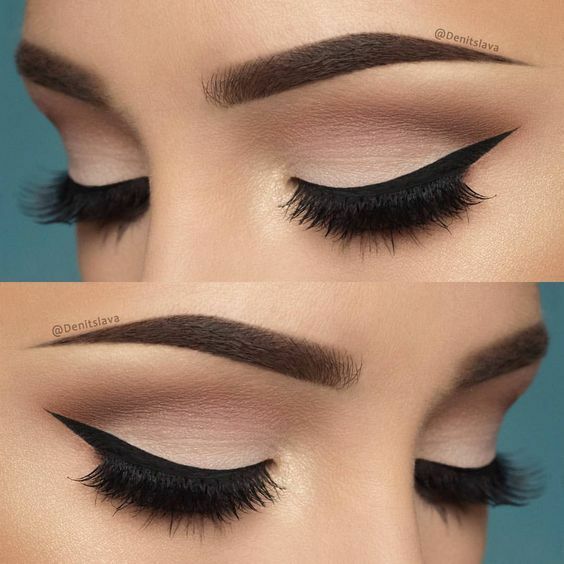 After sharing the manicure inspiration post, the next natural step is to share a make-up inspiration one. 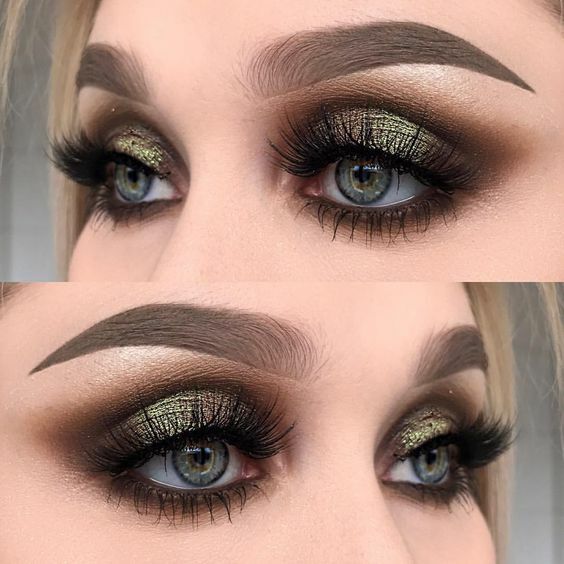 I love make-up and have a small collection, but naturally my technique isn't as good. 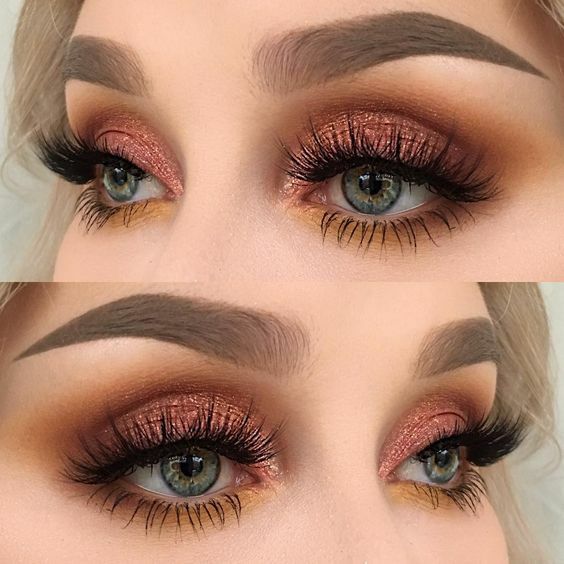 My eyes are hooded which makes it also a bit more challenging, but I love looking for ideas on Pinterest, especially for special occasions. 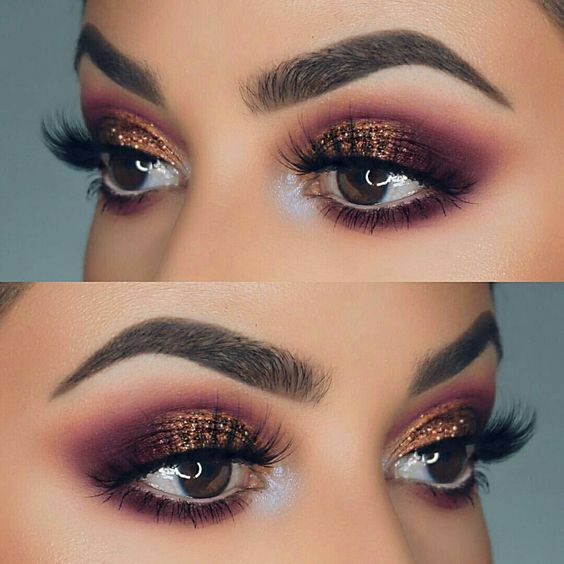 I adore the glittery and glam make-up for parties, but also love how sultry a more natural eye-look can seem. I will make sure to share my look on New Year's Eve on my Instagram stories, so make sure you follow me on Instagram. 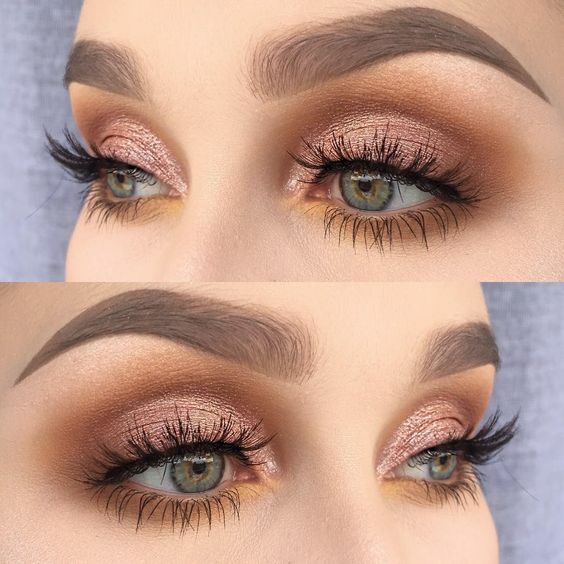 Love that rose gold shimmer eye look!! 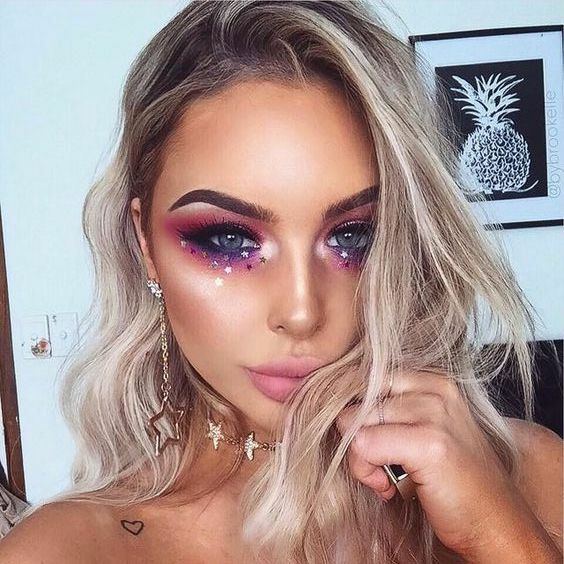 So pretty :) So excited to see your NYE glam babe <3 Have a good one!! I found it fruitful. This post is making different way of awareness. 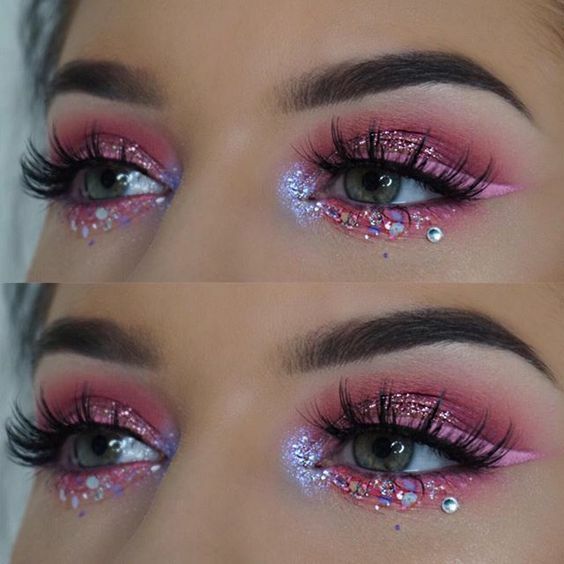 This make up look is pretty amazing. Thanks for sharing. 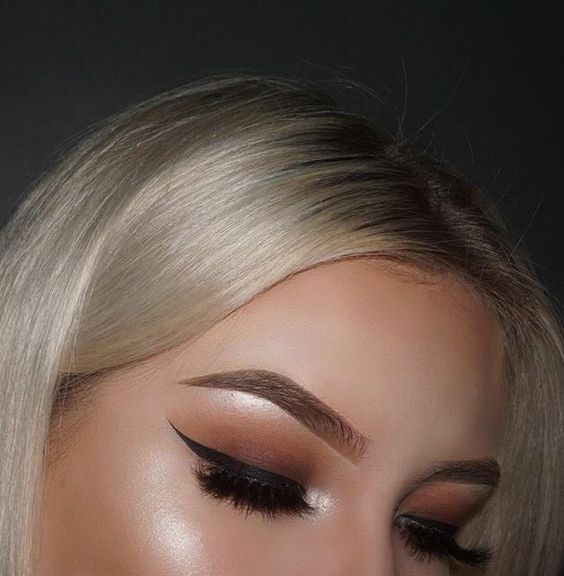 Gorgeous make up look, dear. Keep it up! 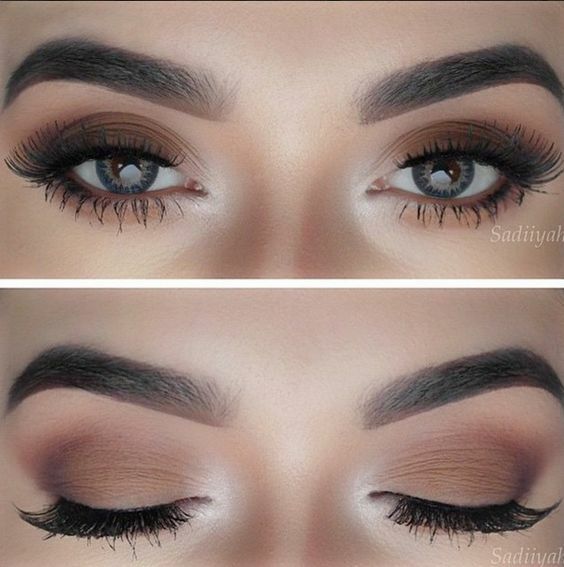 You bring the best performing make-up!Super amazing!